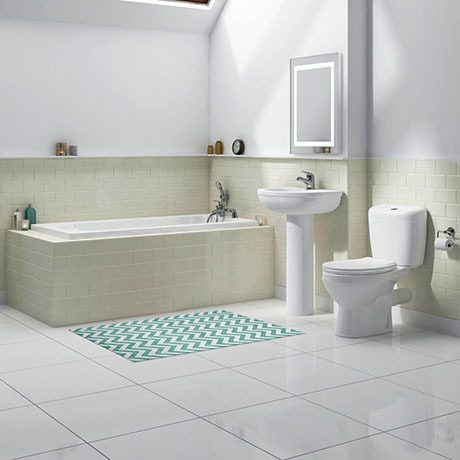 The stylish Melbourne white gloss small bathroom suite is ideal for renewing the style in any bathroom where space is limited. Practical and beautiful, the contemporary minimalist styling of the Melbourne suite gives a clean modern look for today's lifestyle. Waste and overflow holes are pre-drilled. Complete with adjustable feet kit & fitting pack.